I basically just cooked some scrambled eggs with a bit of parmesan cheese in it ("omelette du fromage"- anyone?! Hehe, not really an omelette, but it always reminds me of that). 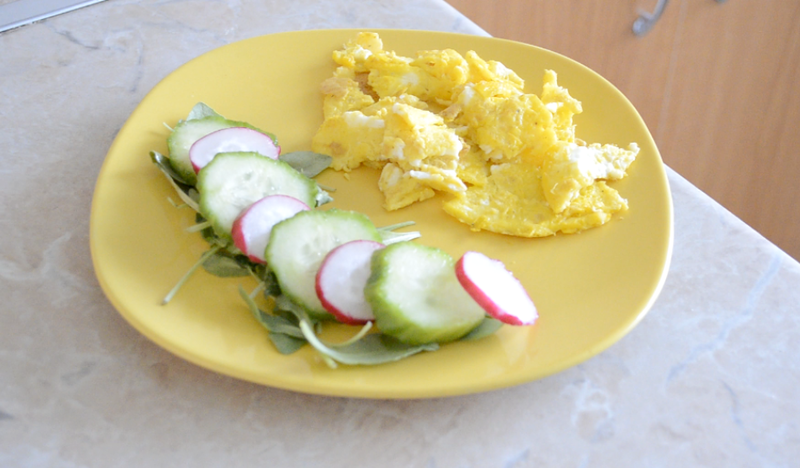 On the side, I went with a combination of veggies: arugula, cucumber and radish. It's a really healthy and tasty breakfast that will get you going for the day. Oh, and I also had my obligatory morning coffee. I am a huge lover of spaghetti or pasta meals and I always try new recipes. It's really easy and fast to cook, and I'm almost always up for a pasta dish. For this week I made a sauce with lemon juice, avocado, salt, pepper, oregano (and a bit of water to make it creamier) - put all of this in your blender and that's pretty much it. 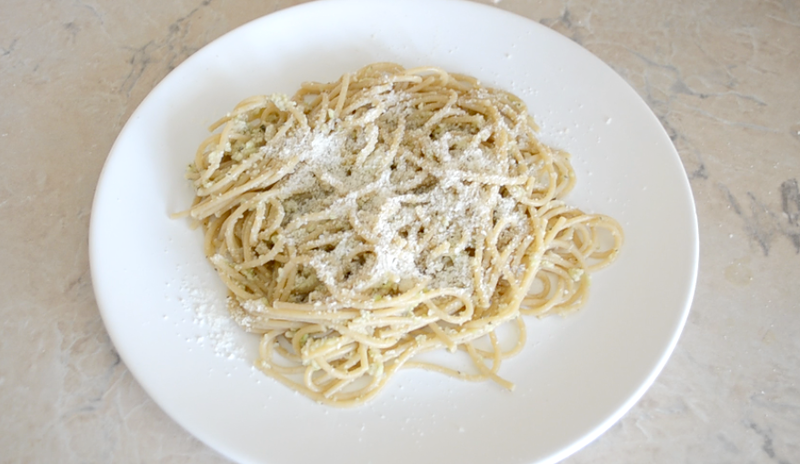 Finally, I sprinkle some parmesan cheese on top. I got not too long ago an electric grill from Russell Hobbs and I love using it. It cooks meat really fast and it makes it healthier than, say, frying meat in a pan. So that is how I cooked the chicken breast. On the side, I made some baked potatoes (seasoned with: salt, pepper, garlic powder, oregano, olive oil). 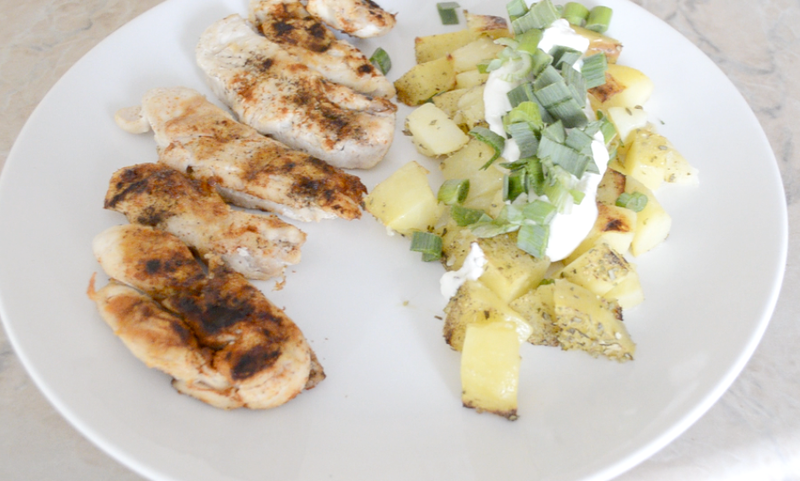 I also added a bit of sour cream and chopped green onions on top of the potatoes (after taking them out of the oven). So delicious! Hope you enjoyed this week's What I Ate post. If you want to watch the video of how I cooked these meals, you can do that here.